Thanks to our amazing member stations, the 2016 Fall Career Fairs were a huge success! Eager college students and job seekers from the general public flocked to Kalamazoo, Mt. Pleasant and Farmington Hills to meet, greet and impress our several station participants. 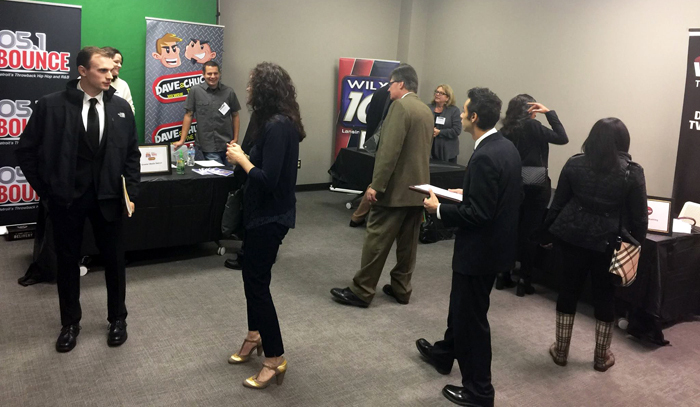 Job seekers were able to network with several stations throughout Michigan which represented 128 unique call letters. Thanks to your participation, job seekers learned about new internship and job opportunities and were able to make important connections for their future! The next career fair is scheduled for Friday, November 18 during the Broadcasting Career Builder Conference (BCBC) at Eagle Eye Golf Club & Conference Center in Bath, MI. Click here for details.